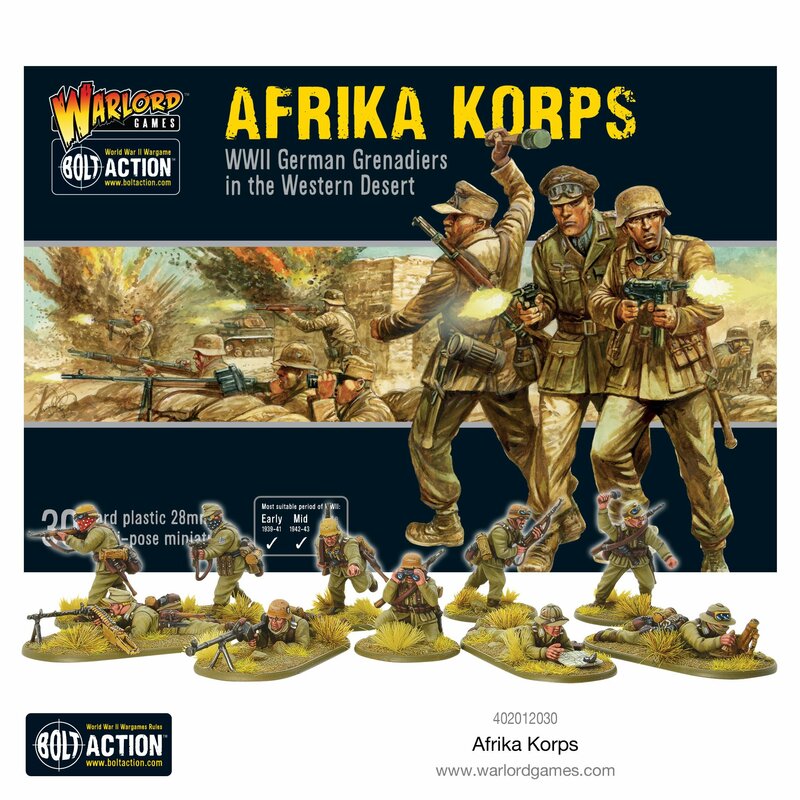 As for myself, I'm too young for those memories and am more interested into how Warlord Games picks up this topic and competes with the other great Africa plastic kits that are already available on the market by Perry Miniatures. The Afrika Korps was the German expeditionary force in Africa during the North Africa campaign and was send there to support the Italian army in their military operations. If you ask people about the Afrika Korps, they will connect it to the "Wuestenfuchs" Field Marshal Rommel, his duel with Montgomery, Tobruk and El Alamein, tank battles and the iconic Tiger. The desert troops fought from March 1941 until their surrender in 1943 in Africa. So, what do we got with this kit. 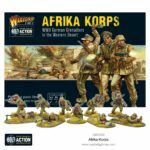 The Afrika Korps is released as a 30 miniatures plastic kit for a price of 26 GBP. The box comes with bases, a double sided instruction leaflet and a decal sheet. 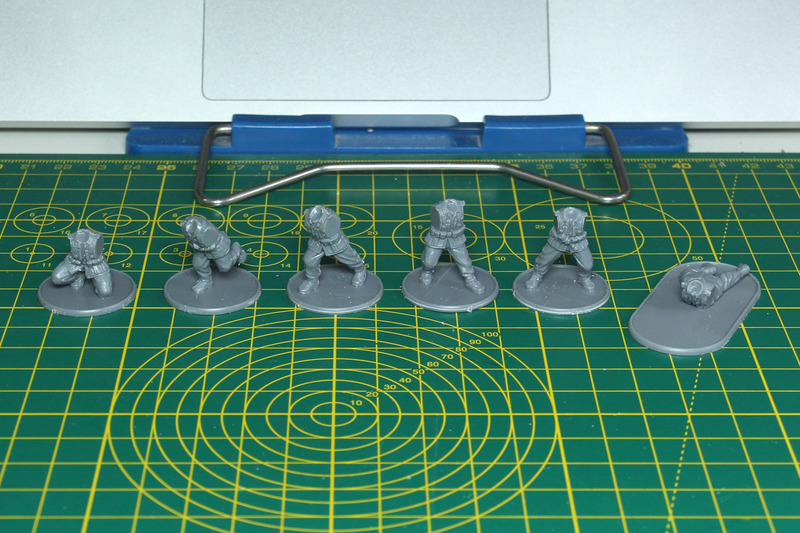 For this review I received a sample sprue of the first casts, so the coverage is a bit denser, but I'll make it work. 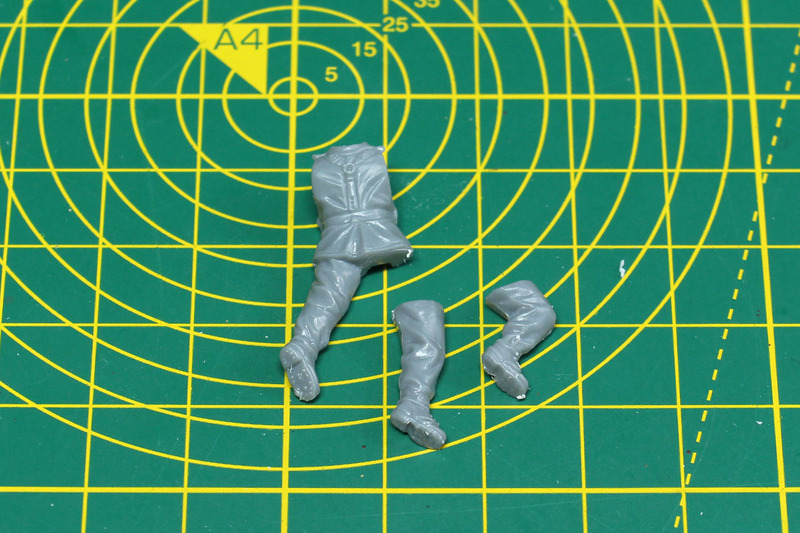 The casting is good, a bit of mould lines, but that may improve in the further run. 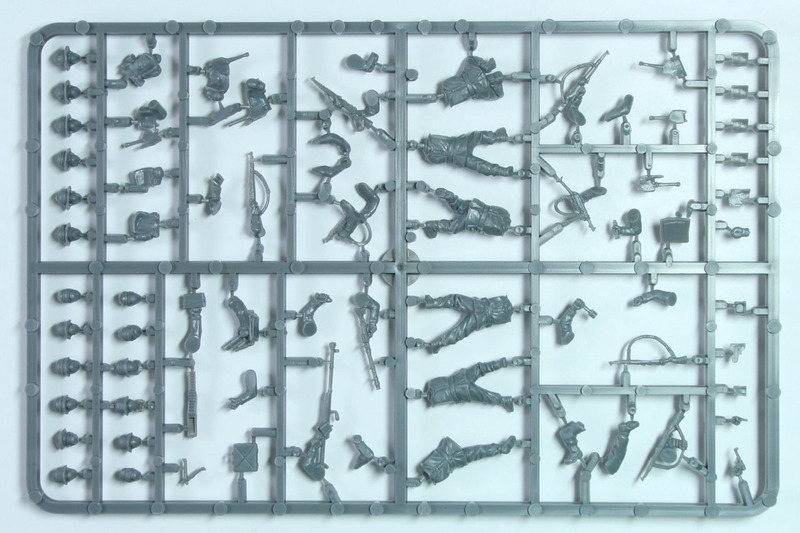 A very dense sprue with lots of options. 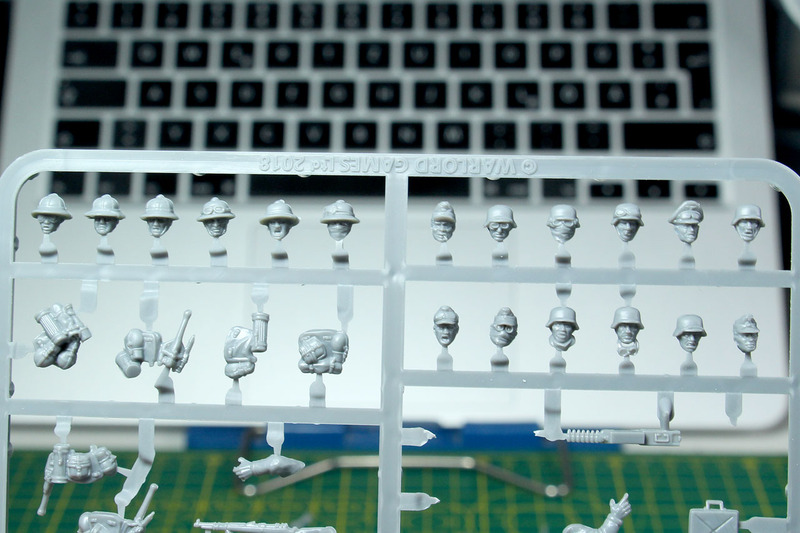 They continue with the large assortment of heads, as again you receive 18 different heads, covering the regular M40/M42 Stahlhelm, Feldmützen and Tropenhelme, including goggles and face masks. A lot of different weapon options, gear and 6 different bodies. Assembly starts with the bodies. The kit sports 6 different bodies, one lying pose with two different right legs, a kneeling pose and four upright poses. The lying body is meant for the special weapons. 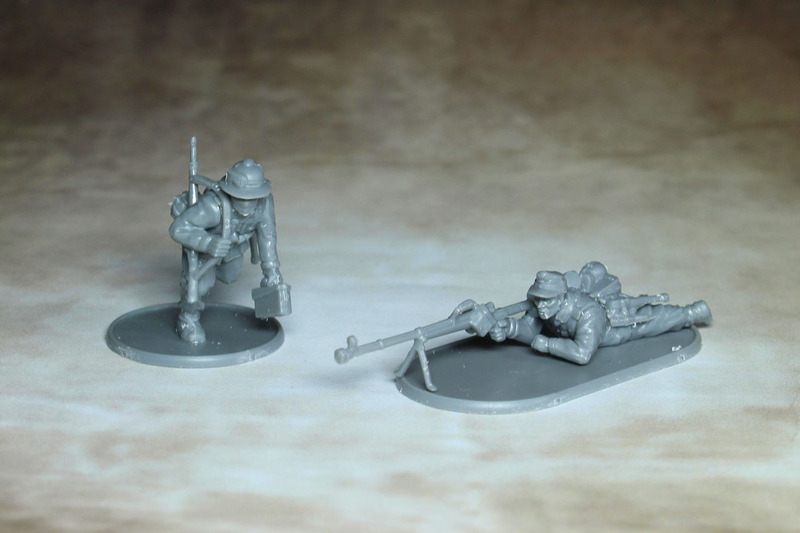 Instead of just a MG34 this kit covers the anti-tank rifle and a light 50 mm mortar. Same as the Perry kit. You see, competition is a good thing! 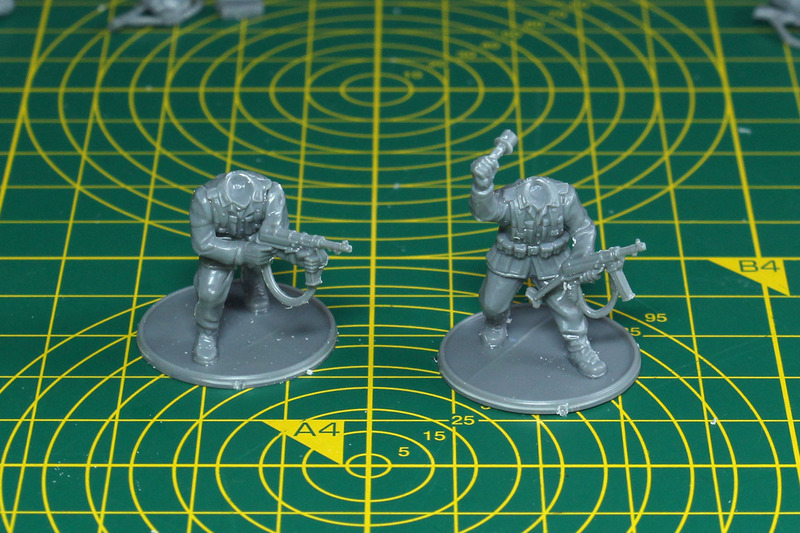 We have two MP40 per sprue, those will be given to the NCO and one grenadier. 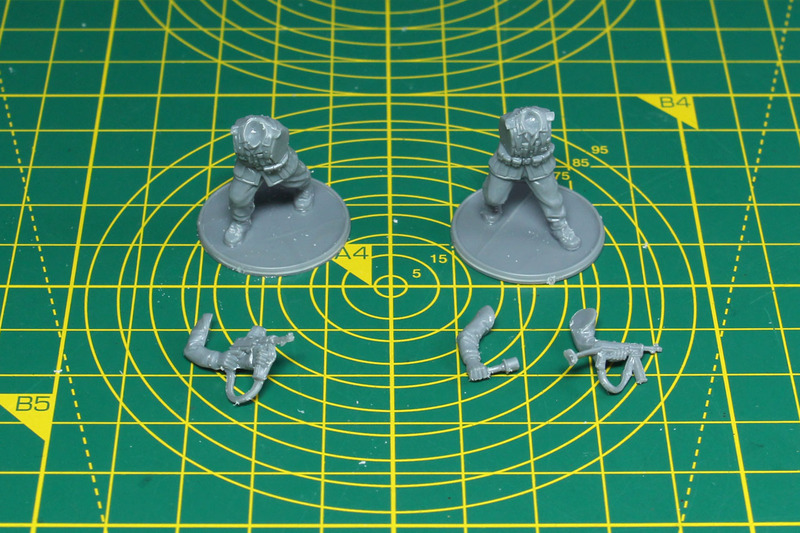 The grenadier throws a Stielgranate, similar to one of the poses from the Airfix kit mentioned above. 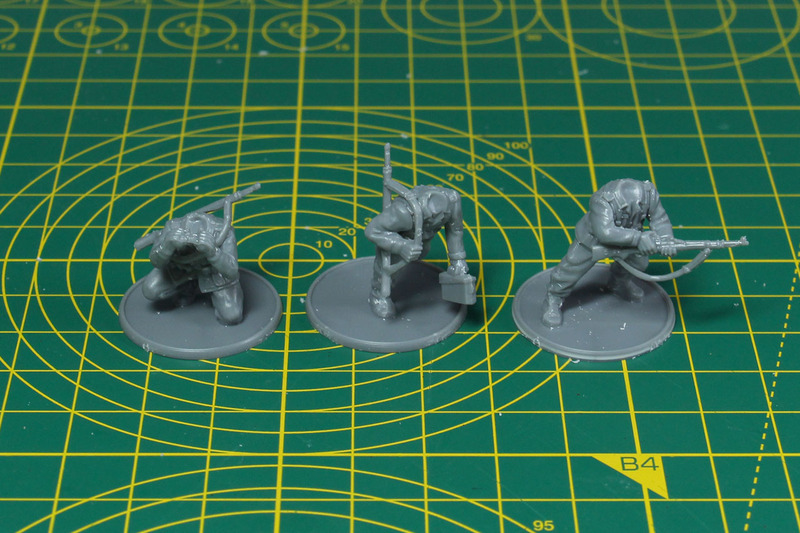 And three soldiers with rifles and additional gear. 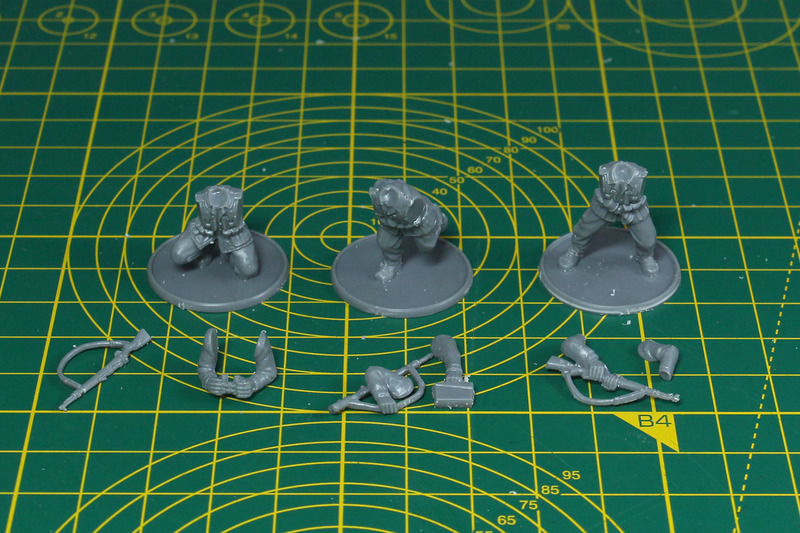 As mentioned above, this kit covers a lot of different heads. From the M40 and M42 Stahlhelm to field caps and the pith helmet. These were worn in a wield mix, depending on availability and circumstances. And the personal gear of the grenadiers. With the entrenching tool, bread bags and canisters. 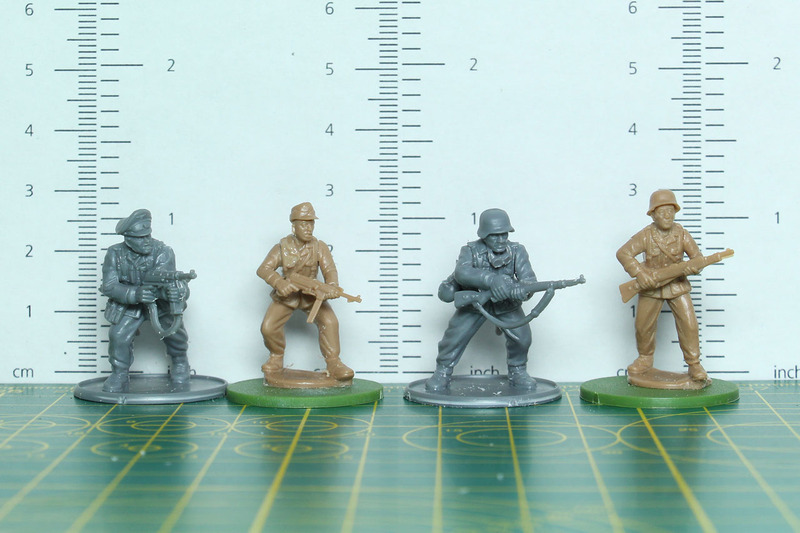 A size comparison of the new Afrika Korps by Warlord Games in plastic and the Perry Miniatures. You can see the clear difference in proportion. 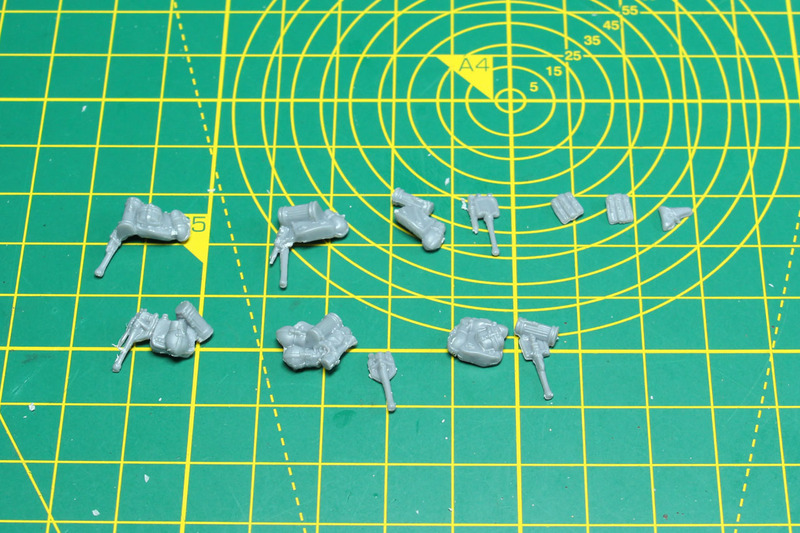 Both are 28mm scale, but Warlord keeps their range in the heroic scale, whereas the Perrys have their more true scale approach. 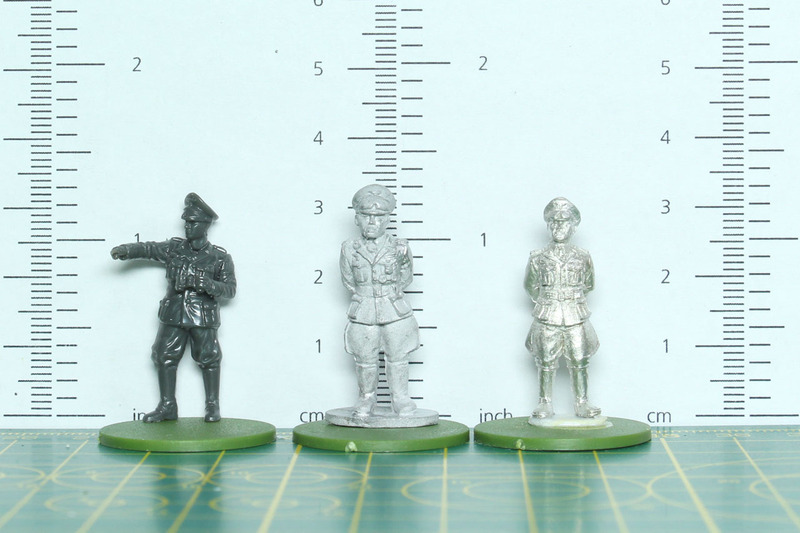 In the middle picture is a comparison between the different Rommel miniatures, with Rubicon on the left, the special miniature from the Bolt Action supplement in the middle and on the right a show exclusive by Cipher Miniatures. I would have put the Perry Miniatures Rommel on this picture, but that's a direct exclusive I didn't manage to get my hands on (yet). 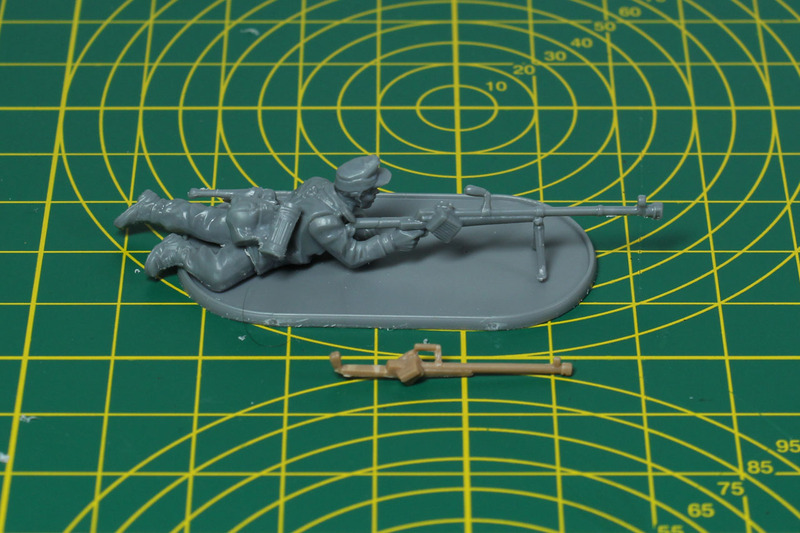 In the third picture you see a direct comparison of the anti-tank rifle from the Warlord and Perry kit. A huge difference in length. 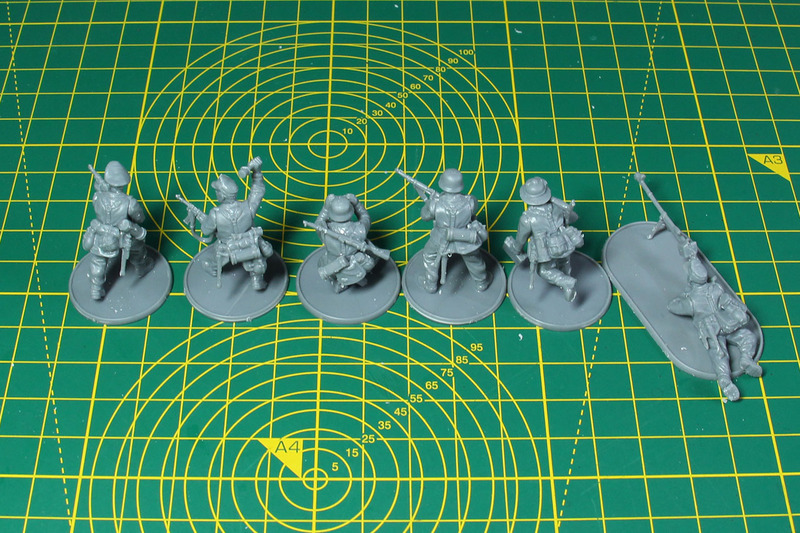 And for the final set of pictures, the assembled Afrika Korps grenadiers with their different gear options. To be honest, at first when these boxes were announced, I was like, do we really need a second set of plastic kits for that campaign? 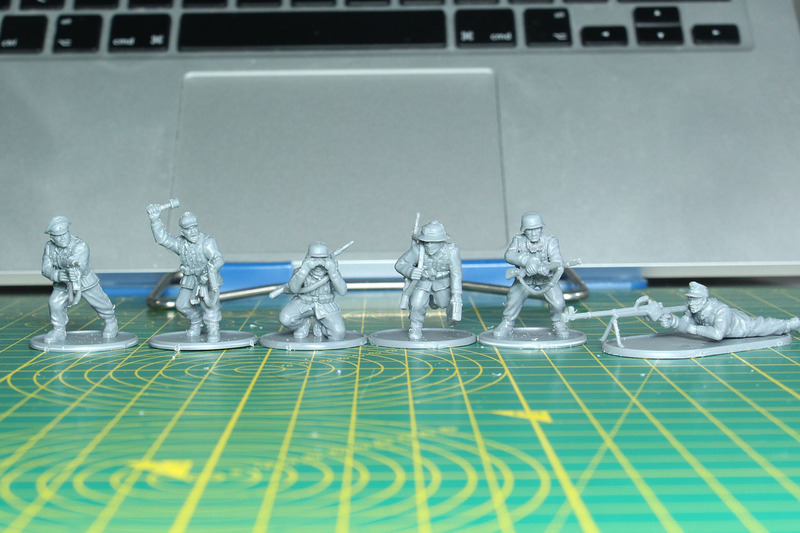 We already have the Perry Miniatures and those resources should be directed to something new. And with all that options, the 10+ different bodies the Perry box cover, I thought that it might be a close one, Warlord really has to push themselves to make the box compete. What should I say? They made it. 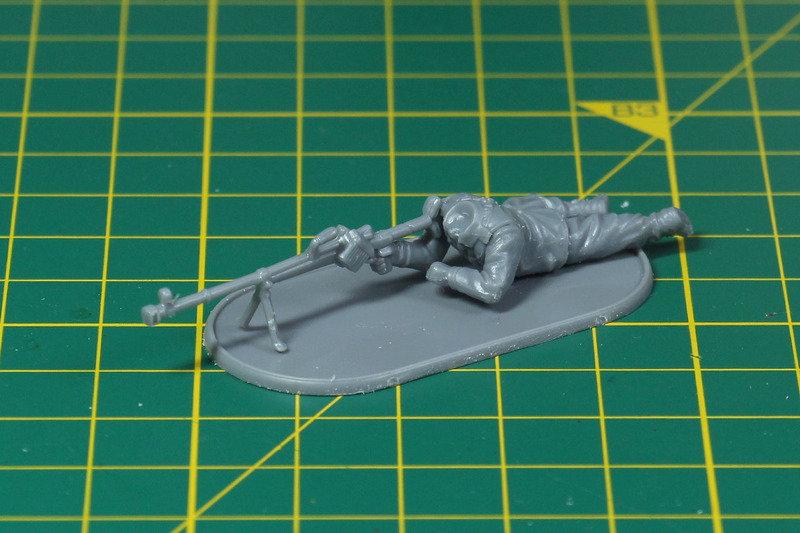 This kit has more special options compared to the other kits, as you have a mortar, an at-rifle and a MG. You have dynamic poses and lots of different heads, so you can mix them quite a lot and get a long way without clones. With all the bits from the other plastic kits, you surely can build up a great army based on this kit. 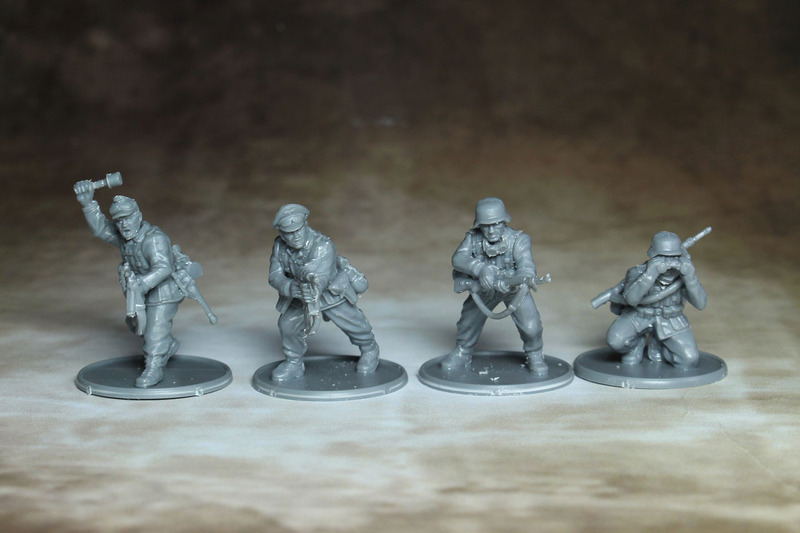 Especially if you mix these with the Blitzkrieg Infantry you can use them far beyond the Africa campaign, for other early to mid-war settings as well, like the upcoming Battle of France campaign. The price is the same as the other kits. It is well done plastic, you know what to expect and they delivered even more with this kit. 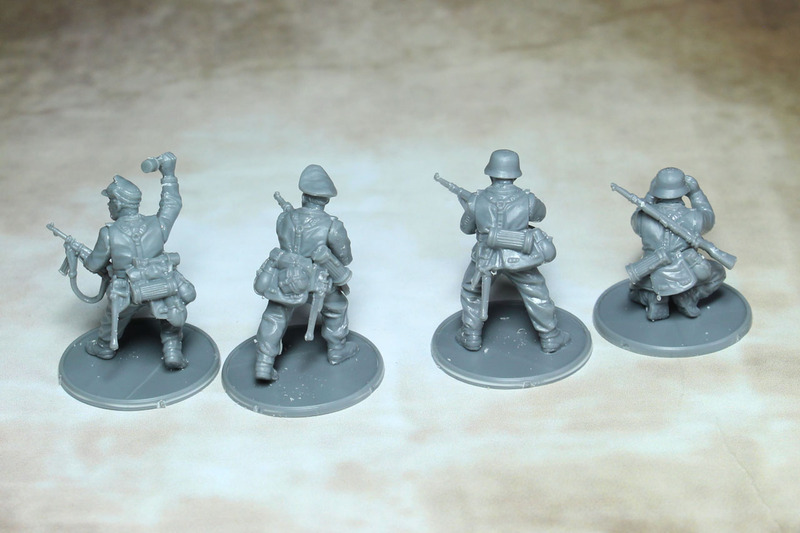 You can mix them with the broad selection of other German kits and that is a big plus for this kit. The choice between the true scale Perry and the heroic scale Warlords is honestly a matter of taste, as both ranges have a great selection of further blisters and codes to add to the plastic kits. 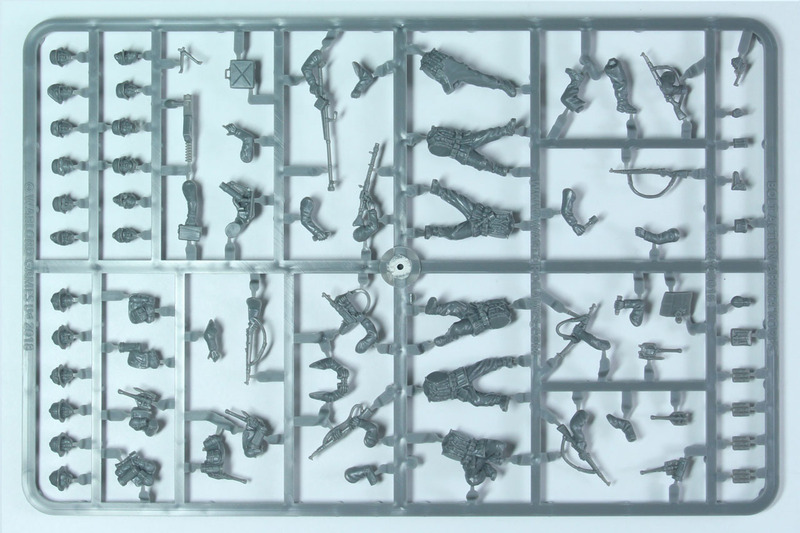 Pricewise the Perry box is a bit ahead, 38 miniatures covering the same weapon options at 20 GBP is less per miniature than 26 GBP for 30 Miniatures. For newcomers to the hobby or painting, the slightly overdrawn features and bulkier bodies of the heroic scale Warlords might be the better choice. 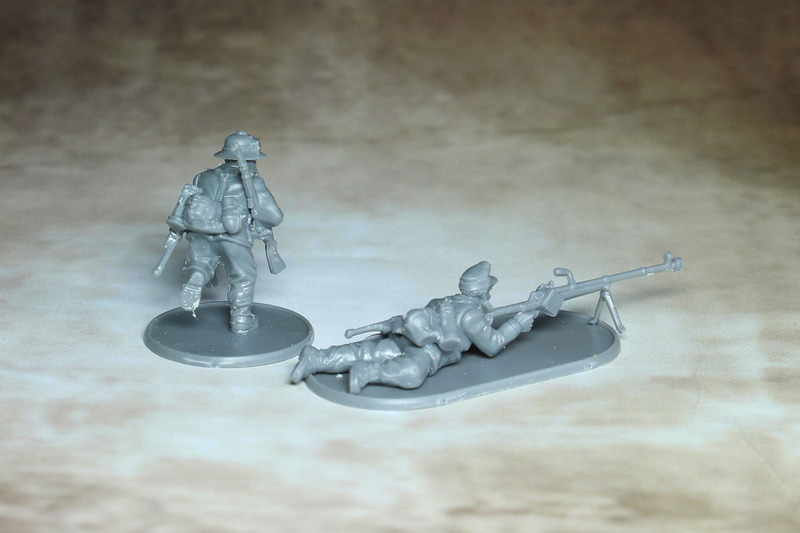 Warlord Games offers these sprues as part of an Afrika Korps Army starterkit along with a Panzer III and the new 8,8 cm Flak.